This dramatic image of Batman and Catwoman demonstrates the tension and desire between the Caped Crusader and Cat Thief hinted in both the comic books and animated series. 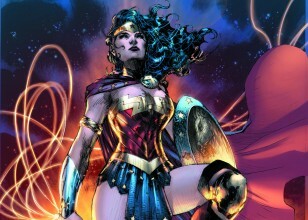 Rendered by Jim Lee, Lee’s style is noted for the definition and detail he incorporates into his superhero images. 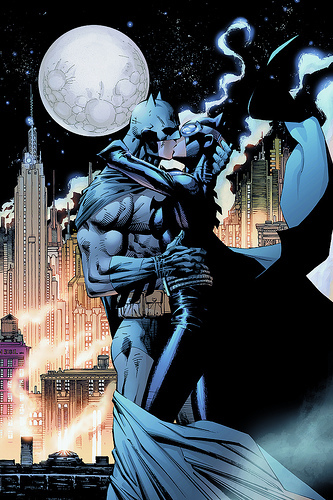 Lee’s cross-hatched style adds dimensional qualities to Kissing the Knight as it appears Batman and Catwoman are actually moving closer and embracing within their kiss. This edition is hand-signed by Jim Lee.